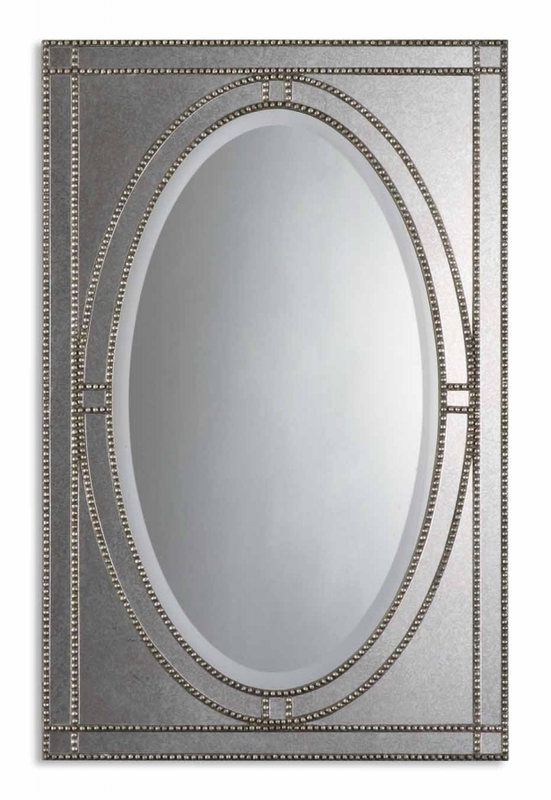 If you cannot decide between an oval mirror and a rectangular mirror, why not go with both in this Earnestine model? The inner oval is framed by glass and resin. 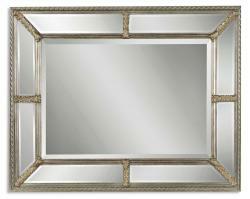 The frame is finished with silver champagne and heavily antiqued. Beaded frame work creates lovely lines across the piece and everything is coated with a dark gray glaze for a timeless, aged quality. The mirror measures 28 inches by 43 inches and comes with brackets for mounting vertically or horizontally. 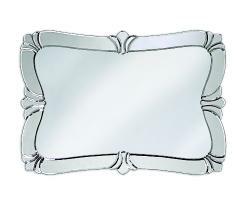 This luxurious and unique piece would make a wonderful decorative element for your dining room, living room or bedroom. What a professional run organization! Quick service, phone contact, quality product & after receipt follow up. What more could anyone ask for? Oh but wait, even a token gift was sent as a "thank you" for my purchase. WOW! Keep up the A++ service.